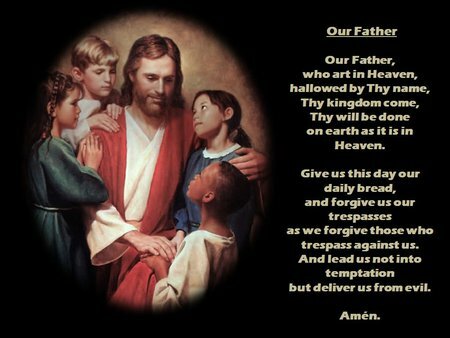 The Our Father is the best of all prayers because it is the Lord’s Prayer, taught us by Jesus Christ Himself, and because it is a prayer of perfect and unselfish love. See Matthew 6:9-13 and Luke 11:2-4. When we say “and forgive us our trespasses as we forgive those who trespass against us,” we pray that God will pardon the sins by which we have offended Him, and we tell Him that we pardon our fellow men who have offended us. When we say “and lead us not into temptation,” we pray that God will always give us the grace to overcome the temptations to sin which come to us from the world, the flesh, and the devil. When we say “but deliver us from evil,” we pray that God will always protect us from harm, and especially from harm to our souls.